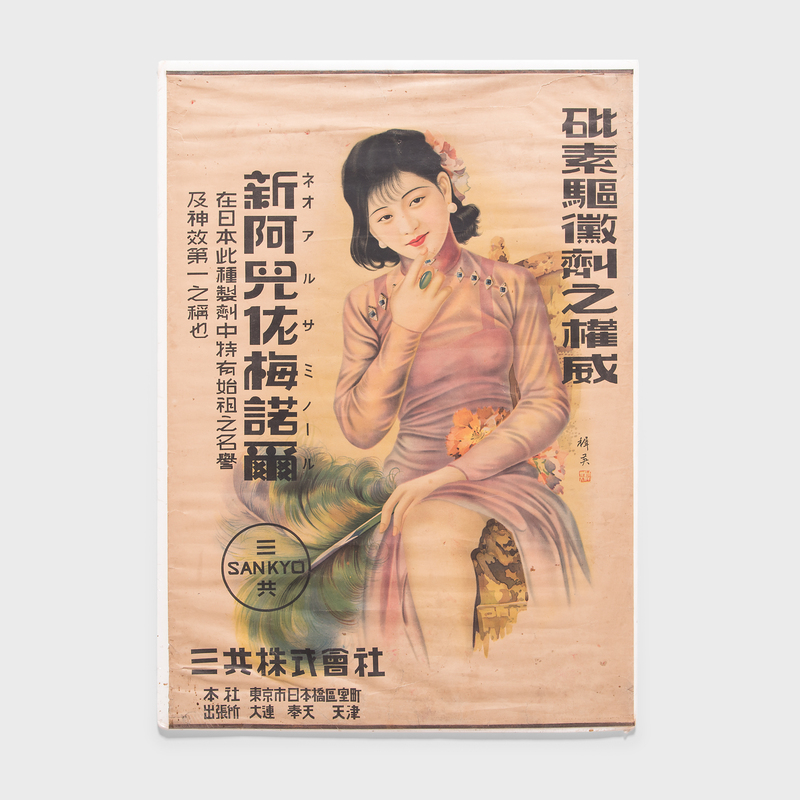 This 1930s advertising poster for the Gold Bar Cigarettes company draws from a well known Chinese opera scene. 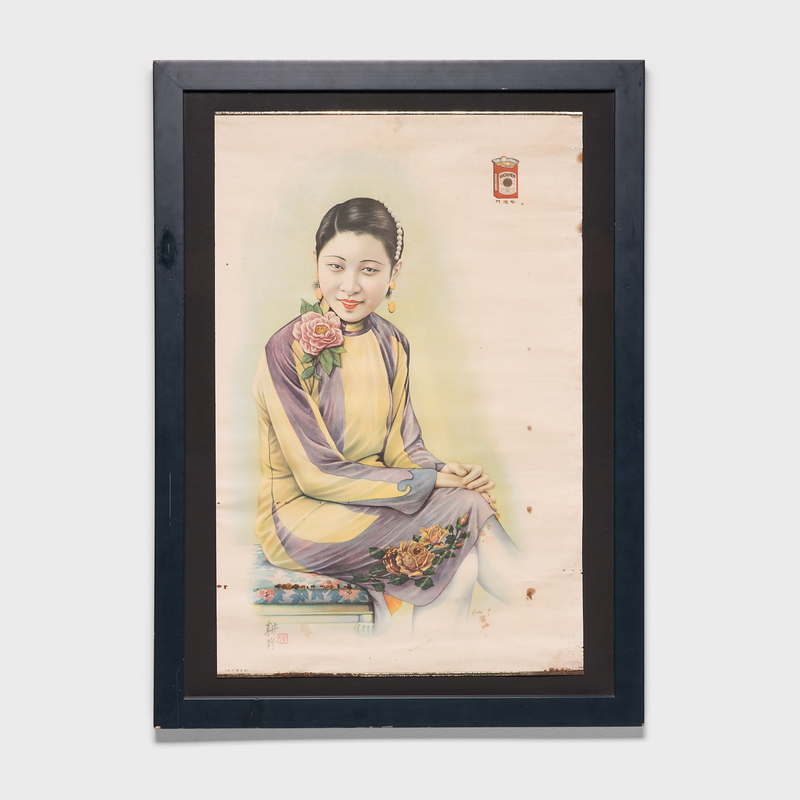 It melds the meticulous detail of traditional Chinese painting with the craft of color lithography. 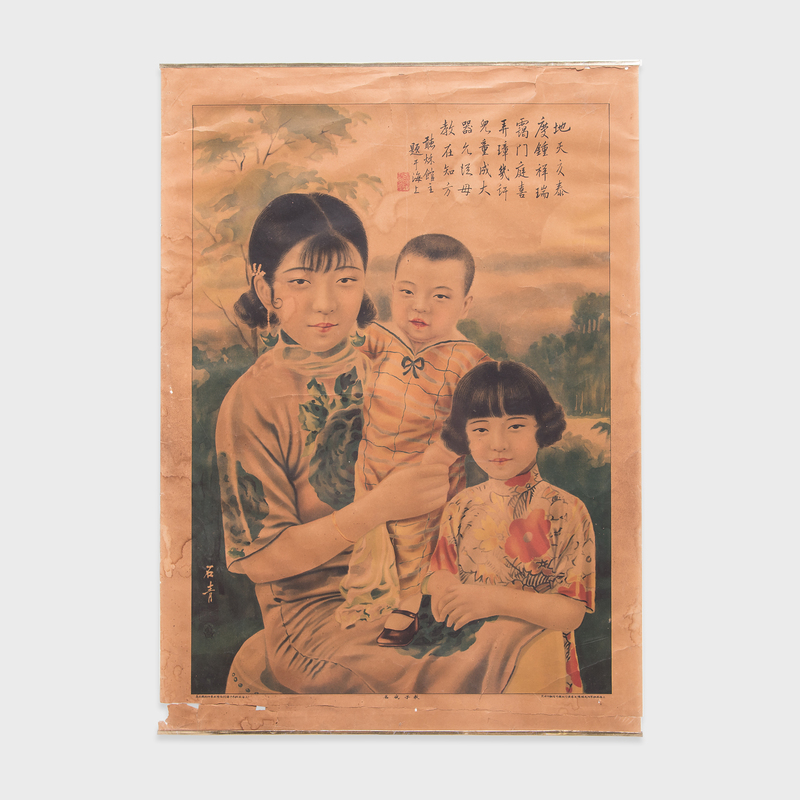 These advertisements, influenced by the Art Deco movement in the west, recall the economic boom of early 20th century Shanghai, an international center of business and trade. 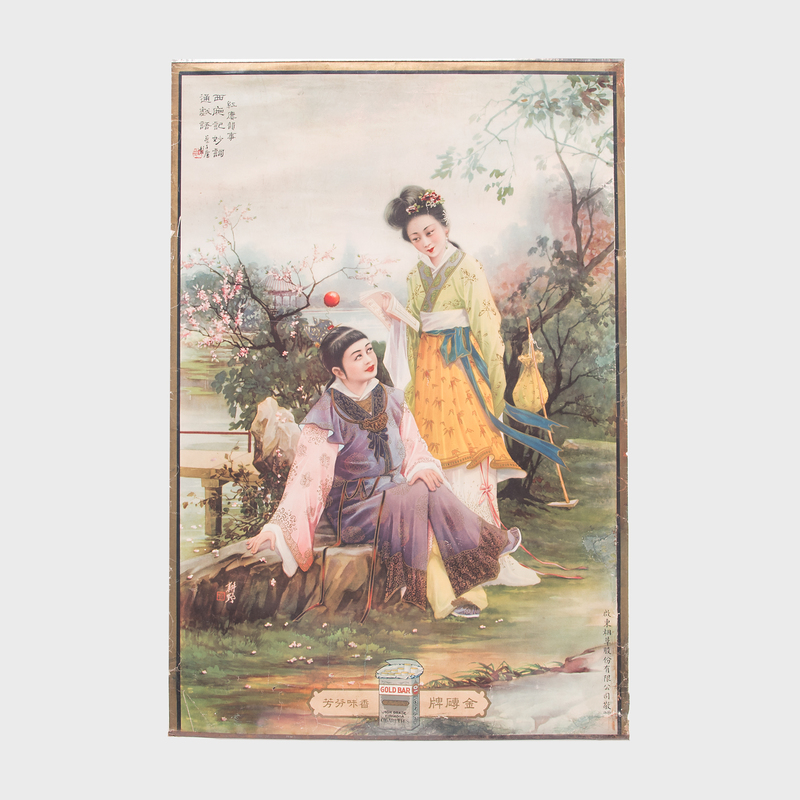 Today, posters, like this, are prized by collectors and preserved in museum collections both for their artistry and for the unique glimpse they give of the past.